A U.S. magazine cast serious doubt Friday on India's assertion that it shot down a Pakistani F-16 fighter jet during the two nuclear-armed countries' latest bust-up in February. Citing two unnamed senior US defense officials, Foreign Policy said that U.S. personnel recently conducted a count of Pakistan's F-16s and found none missing. Foreign Policy quoted one of the officials as saying that Pakistan invited the U.S. to physically count its F-16 fleet, which are manufactured by U.S. firm Lockheed Martin. Many agreements on the sale of U.S. military hardware to third countries include clauses allowing U.S. officials to regularly inspect the equipment. Some of the aircraft were not immediately available, so it took U.S. personnel several weeks to account for all of the jets, the official said. But now the count has been completed, and "all aircraft were present and accounted for," the magazine quoted the official as saying. 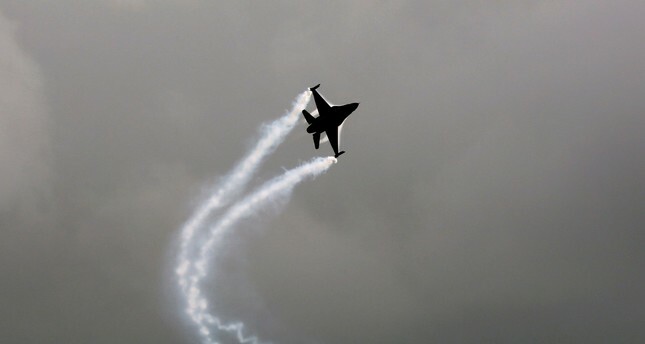 "Radio communication of Pakistan Air Force ... confirms that one of the F-16s that attacked India on February 27 did not return to its base," local media quoted IAF sources as saying. IAF also rejected the report in a statement. "The Indian Forces have confirmed sighting ejections at two different places on that day. The two sightings were at places separated by at least 8-10 km. One was an IAF MiG 21 Bison and other a PAF aircraft. Electronic signatures gathered by us indicate that the PAF aircraft was a F-16," said the statement quoted by Indian broadcaster NDTV. Pakistani Armed Forces Spokesman Maj. Gen. Asif Ghafoor tweeted that "truth always prevails." "Time for India to speak truth about false claims & actual losses on their side including the second aircraft shot down by Pakistan," he said in a re-tweet of the Foreign Policy article. In the dogfight Pakistan had also said it shot down two Indian planes, but India said that it lost only one aircraft. Initially Pakistan said it had captured two Indian pilots but the military later clarified it had just one pilot in custody, who was later released. The news comes as India is gearing for elections this month. Doubt has been cast over the success of India's airstrike, which Amit Shah, president of the ruling Bharatiya Janata Party (BJP), has claimed killed 250. But Prime Minister Narendra Modi, whose standing has been bolstered by the raids ahead of elections beginning on April 11, has stuck to his guns, while hitting out at those questioning the success of the strike as unpatriotic. Modi's ruling Bharatiya Janata Party, heading into a tight election next week, is campaigning on a platform of tough national security, especially with regard to arch foe Pakistan.